I’ll take sweets over savory any day of the week. It’s probably obvious because I could write about goodies like brownies all day long. I even gave you a brownie history 101 lesson! Mmmjunkfood. 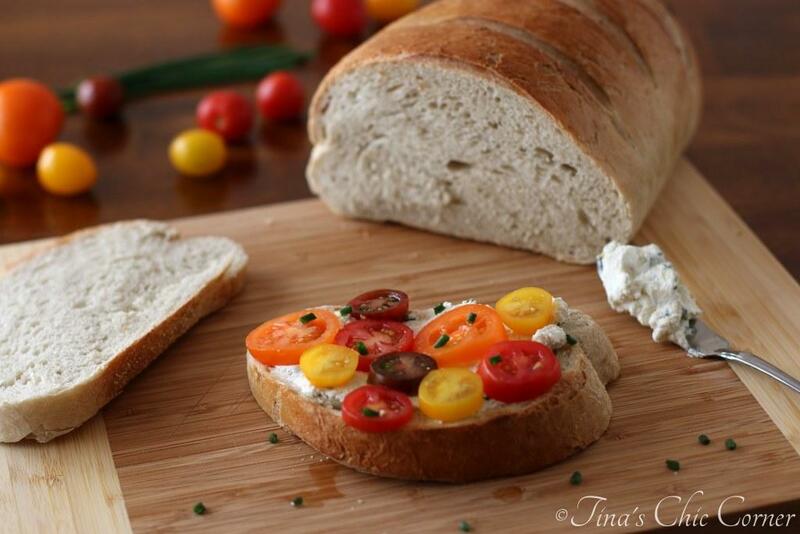 This fresh sandwich has an awesome combination of homemade herbed goat cheese, heirloom tomatoes, and garlic. To make the herbed goat cheese, combine together the goat cheese, lemon zest, chopped chives, chopped basil, salt, and pepper. To build each sandwich, place 1 slice of bread on your work surface. Cut the garlic in half. Using the cut side of the garlic, rub it on the bread. 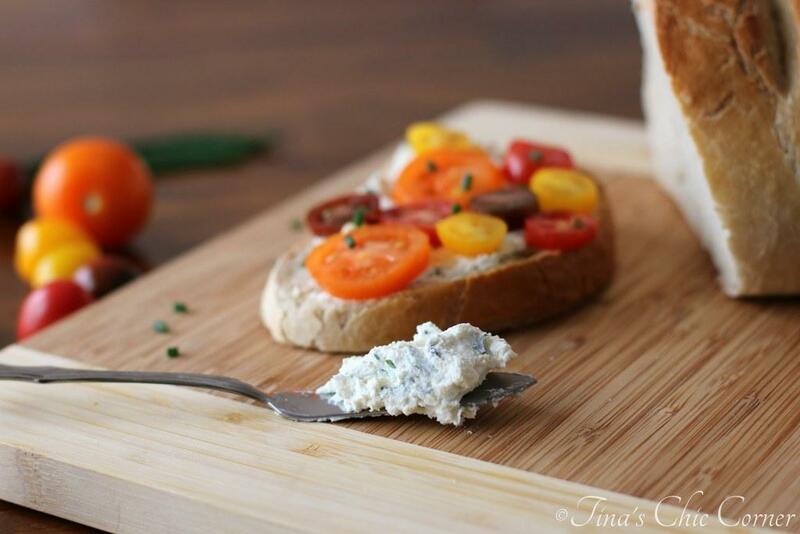 Spread half of the herbed goat cheese on top of the bread. Add a layer of sliced tomatoes. Drizzle 1 teaspoon of olive oil on the other slice of bread. Top with the oiled slice of bread. You can use any kind of bread you like. Anything from a loaf of soft white bread to any kind of homemade bread you’re up for making. After all, it’s YOUR sandwich. Have fun with it! Can I have some cheese please! I used goat cheese today. (I told you this was a fancy sandwich. 😉 ) It’s a little more expensive than most cheeses (I suppose goats don’t make as much milk as cows), but I wanted to try it. I love it! It’s a bit tangy and soft. It’s softer and less salty than feta cheese, but if you like feta (and I do) then you will probably enjoy it. The fresh herbs and lemon flavors really kick it up a notch. Aren’t these heirloom tomatoes gorgeous! They come in a variety of beautiful colors and are a bit sweeter than regular tomatoes. I used the miniature variety because that’s what was available, but if you can find normal sized ones then go for it. You have to admit the little ones sure do make a pretty colorful show. The normal garden variety tomatoes will work here too. However, remember that the fresher, better looking ones will make for a tastier sandwich. Let’s not forget about the garlic. It’s only a hint of here, but boy does it taste fantastic with rest of the flavor pallet going on here. I find that rubbing garlic on bread works very well at conveying delicious garlic flavor, but that it works way better on toasted bread than untoasted. Here are some other great springtime meals. Such a simple yet brilliant idea! The bf offered my cooking services for a party we’re throwing on friday (without asking grrrr) so I’m looking for easy appetizers. May make this but on little crostinis!!!! I love your heirloom baby tomatoes. It’s getting me excited for my tomato plants to start growing! I planted 3 red tomato, 2 yellow tomato, 2 orange tomato and 2 purple tomato. Soon I will have more tomatoes than I know what to do with! Ok, those tomato slices are so cute. And so colorful! 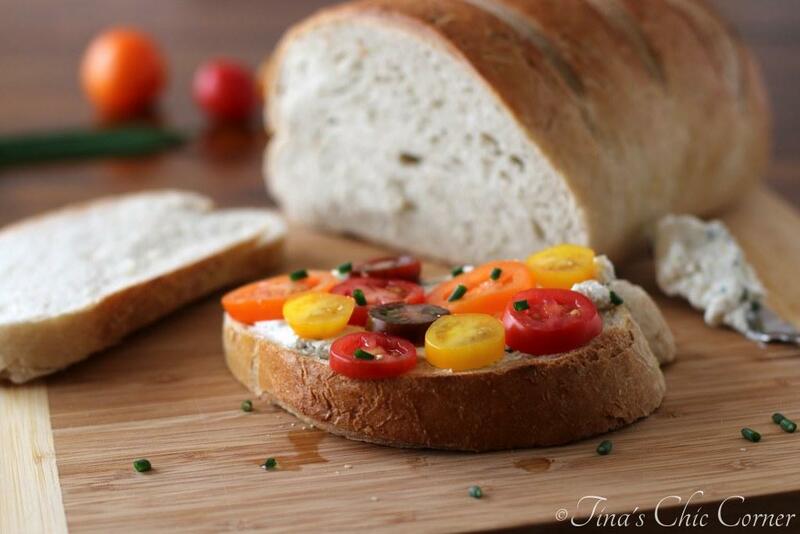 What a great use of the tomatoes – this is a fantastic sandwich idea, Tina! Congrats on 200! 200th post!! Congrats 😀 I’d celebrate with this delicious looking sandwich. I love those heirloom baby tomatoes. Where did you find those? So pretty!! I love how fancy but simple this sandwich is! 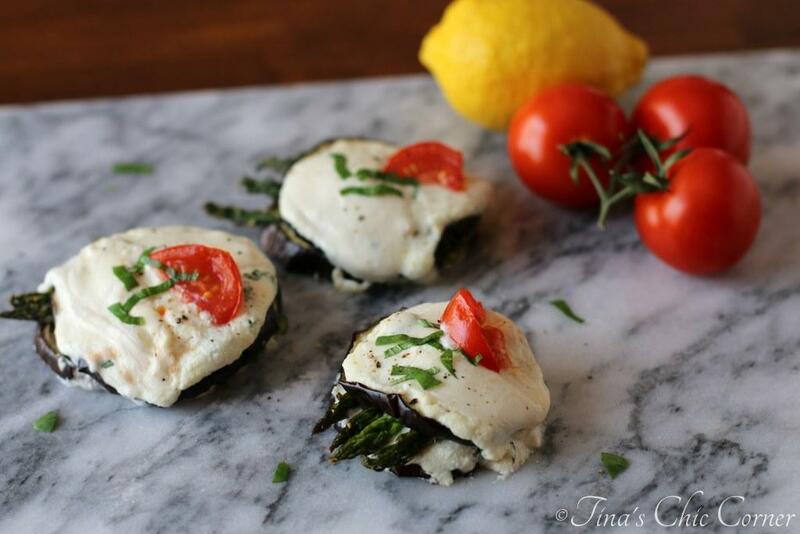 These would be the perfect appetizer bites with a “wow” factor at a gathering. Loving those tomatoes! I totally agree! In fact, I’m planning on turning them into mini appetizers for our next dinner party. I love that they’re easy and I can make them the day before. This sandwich is just perfect. 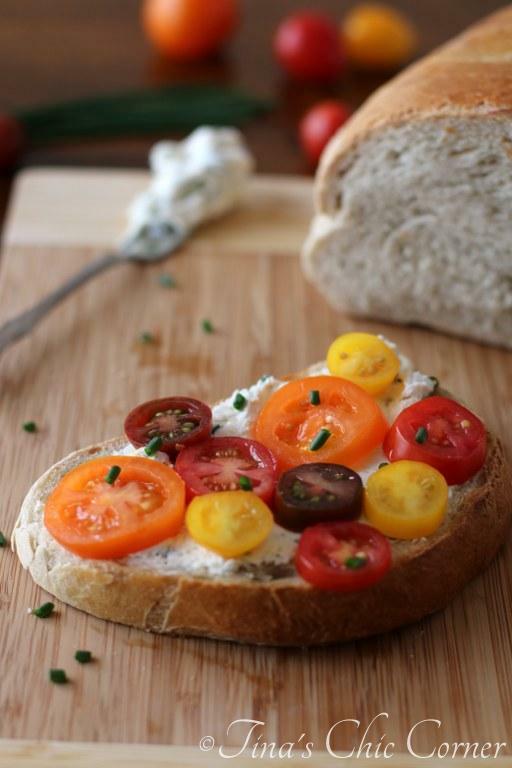 I looove goat cheese and tomatoes. YUM! this looks like a lovely lunch! 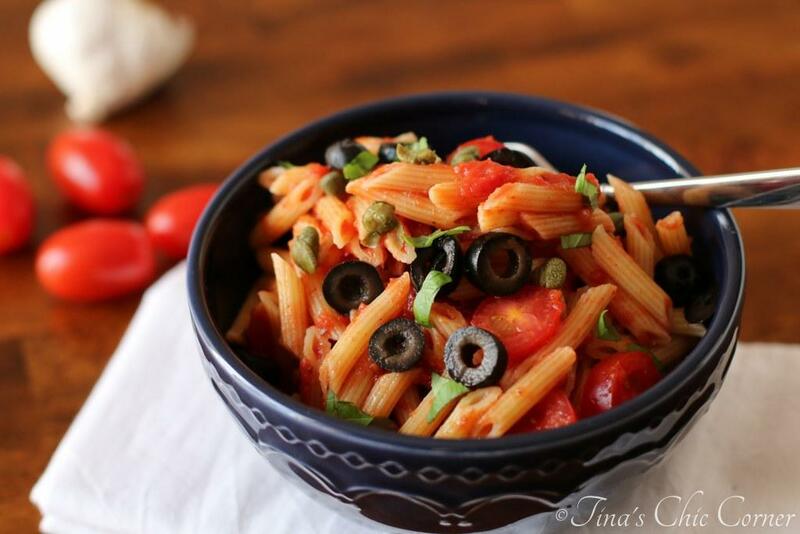 This will make a great appetizer or a quick snack after work. I love how versatile it it. I’ve been making lots of stuff with goat cheese lately. Can’t get enough. My kind of sandwich. 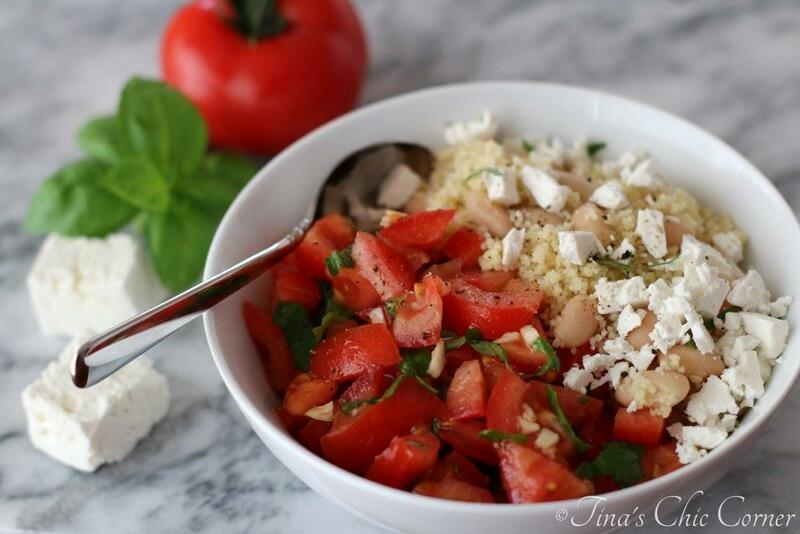 I love tomatoes with feta and/or goat cheese. Beautiful! This looks amazing! I’ve been looking to play around with goat cheese more and this looks like a perfect way to start. Plus any sandwich with tomatoes as the shining star is calling my name. 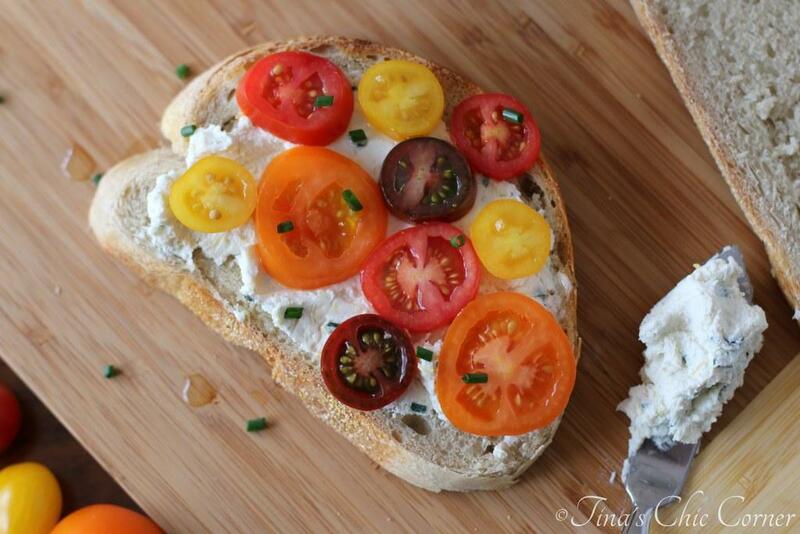 Such a pretty little open-faced sandwich! Goat cheese is perfect for spreading and adhering. Can’t wait for the season’s tomato crop to come around 🙂 These look like edible slices of summer sun. 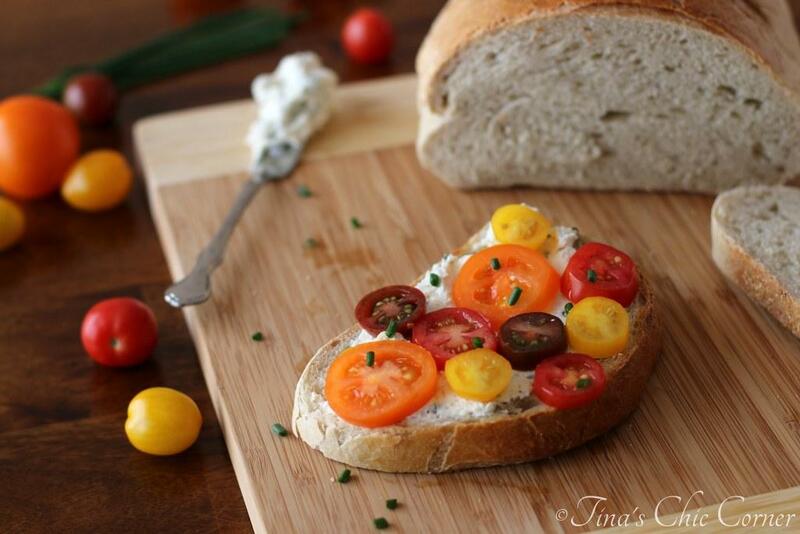 Perfectly ripe cherry tomatoes are like, the best thing ever! I love them… and loving the beautiful simplicity of this dish. It’s perfect for spring! Oh this looks so fantastic! I am anxiously awaiting our farmers market to open. I can’t wait to have good summer tomatoes! Definitely making this! Awesome! I hope you love this as much as I do. 🙂 Thanks for stopping by! 200 posts?? That is AWESOME Tina! Congratulations!! And this is a great recipe to celebrate with! I am in L-U-V with these gorgeous heirloom tomatoes!! I could totally savor a sandwich like this!! Mmmmmmm. Awh Yeah! This looks really tasty, Im all for simplicity in my cooking and eating. Would take this over a sweet treat any day. YARM!